Properly trained and certified Korea Hapkido Federation HaeMuKwan Instructors Course Graduates will have learned a great deal about the healing side of Hapkido. This article is an introduction to those important concepts. When President Nixon’s took his first trip to China, he was introduced to the use of acupuncture in Oriental medicine. Since that time, decades ago, western scientists have studied it extensively. At first, it was assumed that the acupuncture needles used were inserted into nerves or nerve endings to create some sort of block or stimulus. The use of electron microscopy soon disproved that theory however. Eventually western doctors learned what Asian doctors have known for centuries that the body is lined with energy pathways called meridians that transmit a life force called Ki (Korean) or Chi (Chinese). The alteration such meridians by various means can disrupt or strengthen Ki flow. In Eastern, philosophy there exists the concept of dual forces in nature known in China as the Yin and Yang (Um and Yang in Korea). This dichotomy of opposite forces is evident in most of daily life. Opening and closing, light and dark, up and down, in and out, good and bad, are all opposite forces that we deal with every moment of our life. In a like manner, the martial arts themselves illustrate this concept. The arts can be used for attack or defense, for destroying or protecting, for injuring or healing. In fact, several martial arts have developed around the specific use of Ki energy. The two most well-known are the Korean art of Hapkido and its Japanese counterpart Aikido. Along these meridians are specific points that are called Ki points or pressure points. Over a thousand points have been identified. When affected by pressure, or pinpoint injection these points can either disrupt or even shut off Ki energy flow. When explaining Ki concepts to new students the author likens Ki flow to a string of small electrical holiday light bulbs on a chord. When one bulb is partially unscrewed or broken the whole string of lights may flicker. If the chord is severed, the whole chain of light goes out. So is it true in the martial arts with the use of Ki points and meridians. Hapkido teaches us that personal internal Ki can be improved by either breathing or through mediation and the alignment of one’s own Ki centers. Hapkido can be used manipulate Ki to injure an opponent, either temporarily, permanently or even in a lethal manner. The ways Ki can be manipulated are by either reversing the opponents Ki meridian, crossing the meridian, compressing the meridian, extending the meridian, injecting the meridian’s Ki points or centers, rubbing Ki points or by vibrating the meridian. For example, pressure applied inside the arm just below the elbow In the “Lung five” pressure point will create a painful response that actually causes an alteration of body position and sudden arm weakness. In a similar but opposite manner Ki points can be used to heal or to reduce pain. Massaging certain Ki points such as that in the web or the thumb, or those in the ear in a clockwise manner, can alleviate pain such as those from a headache. The science of acupuncture is in fact based on a knowledge of the healing points. Needles are inserted and manipulated in certain specific points long meridians in order to elicit a positive bodily response. The Korean art of Shimkido, and the Japanese massage therapy of Shiatzu are similarly used to affect Ki flow in a positive manner by applying pressure and massage to Ki meridians and pressure points. (Acupressure). Simply put, the nerves of the body and the Ki meridians control both organ and muscle functions. Ki healing attempts to return the system of a sick or injured individual pet back to its correct balance, by decreasing pain, improving organ function, increasing appetite, or by changing unwanted behaviors. The meridians and their branches contain different receptors that work in opposition to each other. The Machaon receptors either increase or decrease organ function. The Pain receptors act to inhibit or block the Machaon receptors. Just as drugs can act to block pain or to decrease inflammation, Ki Improvement therapy acts similarly using various forms of manipulation but without the side effects or dangers of many of the drugs currently in use. This is accomplished by a combination of physical manipulation (massage, acupressure, physiotherapy etc.) as well as stimulation or inhibition of nerves and meridians (Electrical, acupuncture, light or sound wave treatment) . Some therapies (Qi gong massagers, infrasonic therapy units, cold lasers) actually apply a dual action affecting the Machaon-receptors through stimulation while the body’s Pain receptors are inhibited. In other words, there are both anatomical and physiological effects from such therapies. Weak, fibrosis (scarred), or stretched muscles can be stimulated to contract while spasms or painful muscles are relaxed. Furthermore, spinal receptors can be encouraged to return to normal function. In ancient times, it was important for officers to learn the healing arts in order to maintain combat readiness. There simply were not enough doctors to travel with every smaller army unit, so it was left to the officers to help heal their soldiers. Today’s martial artists may not all be operating in war zones but all do have a responsibility to their training partners and their students. Obviously, since just as in ancient times, a doctor is not available inside every Dojang it is important for those of teaching rank to have at very least a rudimentary understanding of first aid, CPR, and the non-medicinal healing arts. Accidents sadly do occasionally happen and it behooves every martial artist to be able to render immediate first aid to help control pain, to lessen damage by unnecessary movements, and to possible help correct minor problems with available natural therapies. We certainly are not advocating practicing medicine without a license but rather are recommending a working knowledge of first aid and rehabilitative care. The author would like to close with a personal story to help illustrate this concept. 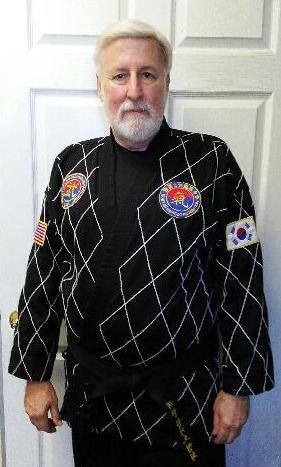 When the author began studying Hapkido and Tai Chi in 2001 he met two brothers in their seventies who had just started studying the martial arts for health benefits. One of the two men had been injured in artillery strike during the Korean War (1950 – 1953). When he began training at our school, he had almost no use of his right arm and could raise it no higher than 30 degrees from centerline. After just six months of martial arts exercise and Tai chi training, he was able to bring his arm through a full range of motion. I remember him bemoaning the fact that for over fifty years since his injury our Western doctors did not talk to their Eastern counterparts or consider alternative therapies and that for fifty years he was told and convinced that he would never be able to use an arm that in reality was fully capable of being rehabilitated. Obviously then, the Yin and Yang of today would mean combining the knowledge of the West in surgical and medical technology with the knowledge of the East in natural, herbal, physical, and Ki energy healing.